When I was test driving the Sprinter van, both the ABS (Anti Lock Braking System) and ASR (Anti Slip Regulation) warning lights went on after a short drive. The seller of course explained that he had fixed this issue just days before and that he couldn’t understand why it’s coming back. Since I flew in to pick up the van and the seller also still had the replacement pump (and the price of the van was good) I decided to take the risk. Long story short: I drove the van about 7,000 miles without ABS, replaced the ABS pump and electronics from the spare unit I had twice without success. As it turned out, the previous owner tried to replace a malfunctioning ABS pump with another defective one. The Mercedes specific ABS code that the scanner gave me was C1401 (ABS return flow pump) which led to the pump itself. First, a simple test to check if the ABS pump is working is listening closely when you turn the ignition to position 2 (not starting the engine). You should hear the ABS pump motor spinning. This is the initial test that the van’s computer is performing to see if the ABS system is functional. If it doesn’t detect a running motor it won’t turn off the ABS warning light on the dash. 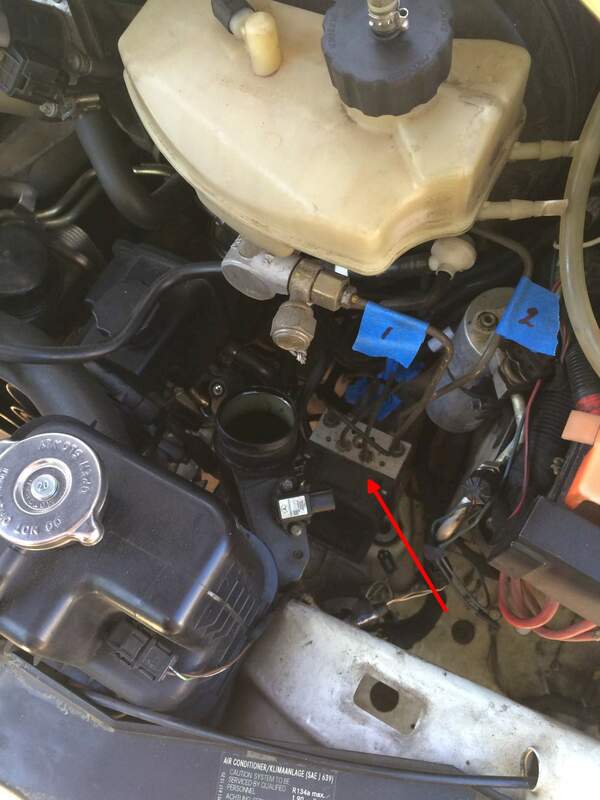 If you can’t hear the ABS pump making some noise the next step would be to apply 12V directly to the pump motor to see if the problem is in the electronics or wiring to the ABS pump or the pump motor itself. The ABS pump is accessible from the top of the engine bay and even better if you remove the driver side head light (for left hand drive Sprinters) – the arrow in the picture below points to the ABS pump. You don’t need to remove the whole ABS pump to do this test. 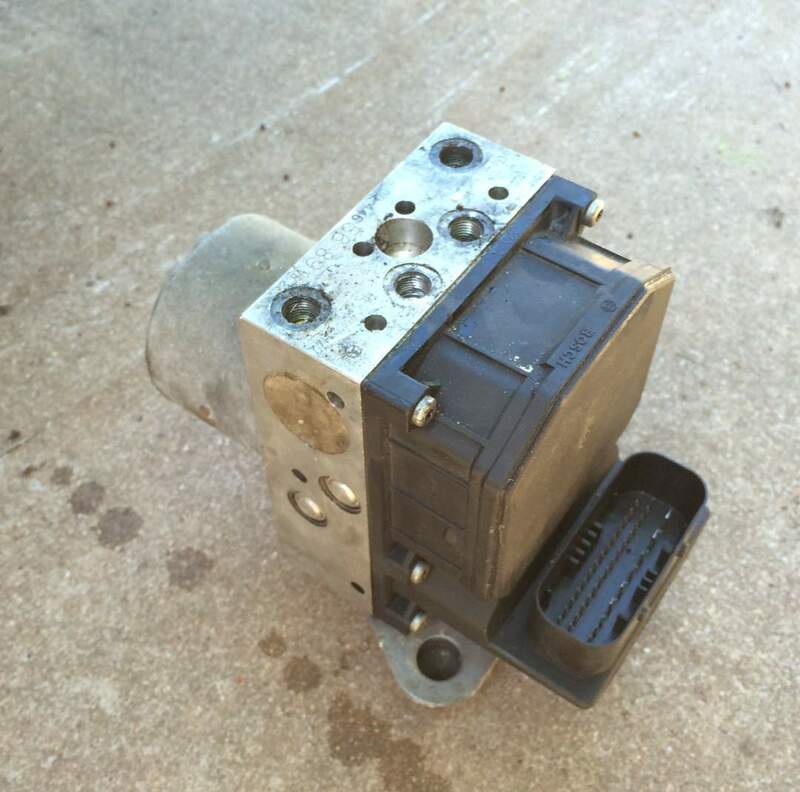 The ABS consists of two parts: the silver piece with the brake lines connected, which is the hydraulic system with the pump motor and the black box bolted in front which contains the electronics. The black box is bolted on to the hydraulics with six torx screws. You can access most of those screws from either the top or through the headlight cavity. If I remember correctly only one of the bottom screws are is bit more tricky to remove. I was successful by using a small ratchet with a torx bit and accessing the screw from below. Now with the electronics part removed, you’ll see the two power connectors for the pump motor. It doesn’t matter where you apply plus and minus, the pump will run either way. The video below shows how it should sound – I took the video after I fixed the ABS pump in my Sprinter van. 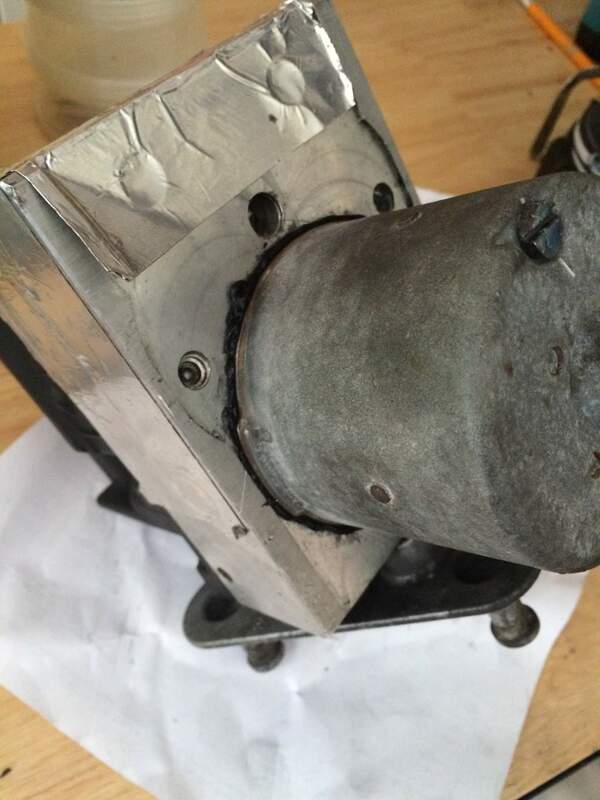 If the ABS pump motor runs with an external 12V source most likely the issue is with the ABS electronics and this will be a more expensive repair (google for ABS repair, there are specialized companies that will do the repair for you). In my case, the motor didn’t work and while searching through the internet, I stumbled upon this PDF in German which explains how to fix a broken ABS motor. 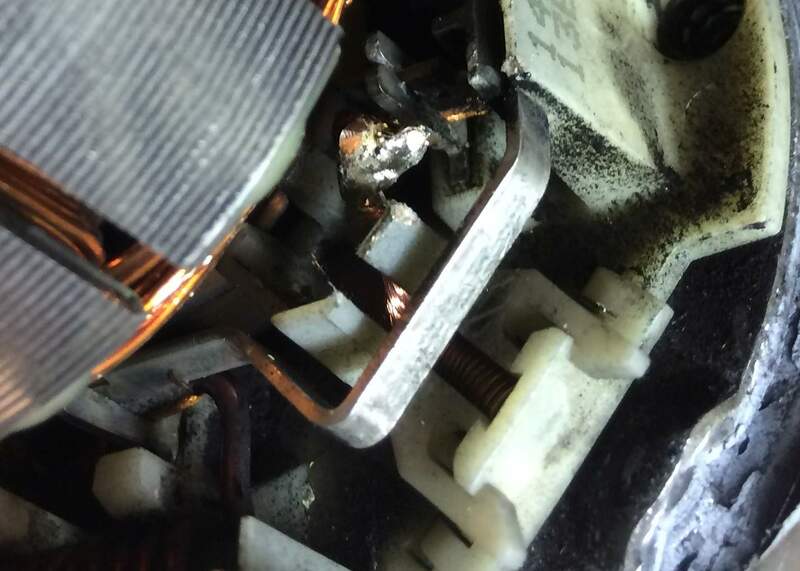 Turns out that the culprit was worn down carbon brushes – something that happens to most electric motors at one point in life – like the two ABS pumps that I had. All I needed to fix the ABS pump was a set of four 12 mm x 5 mm x 5 mm carbon brushes. To repair the ABS pump motor you’ll need to remove the hydraulics part of the pump from the van which is done by draining the brake fluid (see the post about bleeding the brakes), removing the brake lines from the ABS pump and then lifting the pump from the base (it’s not bolted to the van anywhere, just plugged into a rubber base). Now with the ABS pump out of the van you’ll need to take off the rotor cover on the back. It’s held on by two long screws in the back. Before you can lift of the cover you’ll need to scrape off as much of the sealant around the base as possible. Also the magnets from the motor will make it harder to lift off the cover – take your time. It will come off eventually. The picture above shows the rotor of the ABS pump exposed. The brushes are located at the base of the rotor and removing them is a bit tricky. They are held in place by little plastic clips. To remove the brushes you need to carefully pry the clips open. They break easily so don’t apply too much force. There’s also a little spring that pushes the brushes to the center of the rotor as they are getting shorter over time. Don’t lose these springs, you’ll need them later when installing the new brushes. 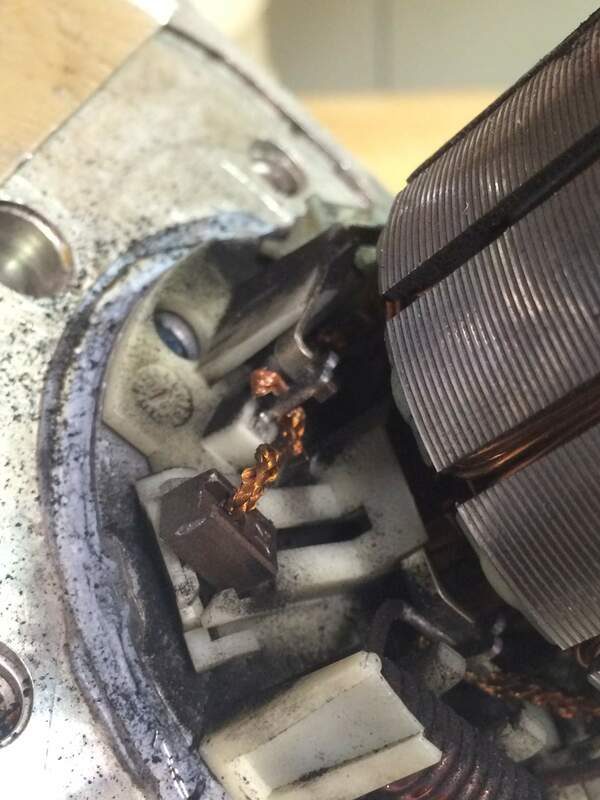 The problem why the ABS pump is not spinning anymore is that at one point the carbon brushes are worn down too much and don’t make contact with the center of the rotor anymore. Here’s how one of the old brushes looked like compared to a new one. To replace a brush you’ll need to cut the wire, remove the old one and then solder the new one back to the connection, place the brush back into place with the spring and close the plastic clip. Sounds easy but since you’ll need to work with tiny pieces it’s a bit tricky (a magnifying glass helps a lot!). After replacing all brushes, apply new sealant around the base of the cover and screw the rotor cover back on. 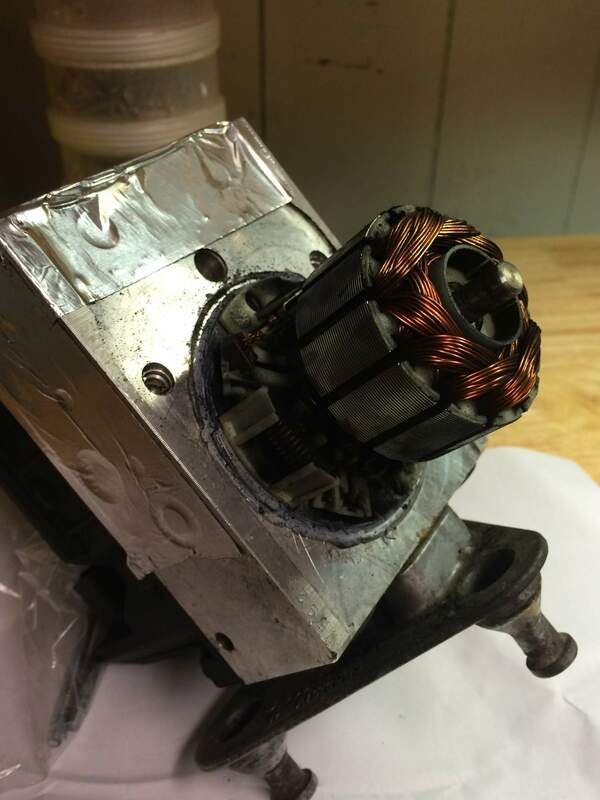 Cross your fingers and test the motor with an external 12V source. Ideally you should have a working ABS pump again after you installed it back in your van. Worst case you spent $20 on top of the more expensive replacement that will follow. Good luck! Four 12 mm x 5 mm x 5 mm carbon brushes. You can get a set of 20 from Amazon. They are shipped from China, so if you need them quick – you’ll pay $4.50 a piece when you buy from this store. They arrived within two days. I have got issues with my ABS . I have read your post and found it most informative. I would like to thank you for doing this. Regards ,Phil. Been thinking of scraping my van. Due to cost! But thanks to your advice! I will try this first. And hopefully get another MOT on my van for the next year or two! Many thanks! Great post. Mine did run when I applied 12v. The next step will be to check wires, but I wanted to ask what you meant by that. These companies fix what exactly? I’ve found that Solder Wick braid often works to help to attach a new brush to an existing lead. 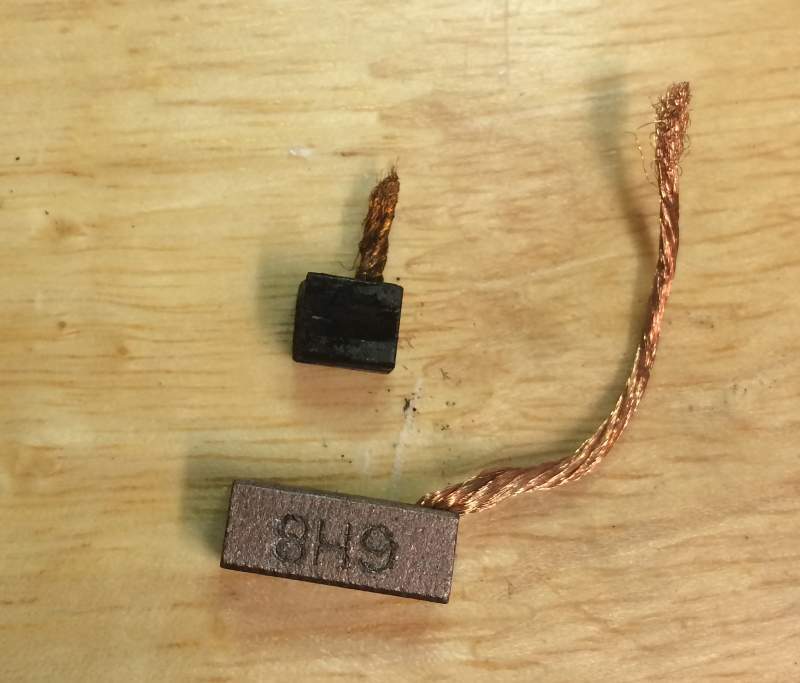 Sometimes the stub end are just a bit too short and difficult to solder. It seems difficult for me to find them.. (because of the different posizion of the cupper cable) and your Amazon link doesn’t works anymore..
Can you write me the dealer name or somethingh else if you remember?